My guest today is Dr. Maggie Wray. She is a psychologist, mentor and life coach in the Atlanta, GA area. Maggie has Ph.D. in Neurobiology & Behavior from Cornell and is a success coach for teens and young adults. A fun fact about Maggie is she has a Bachelor degree in astrophysics from Princeton. 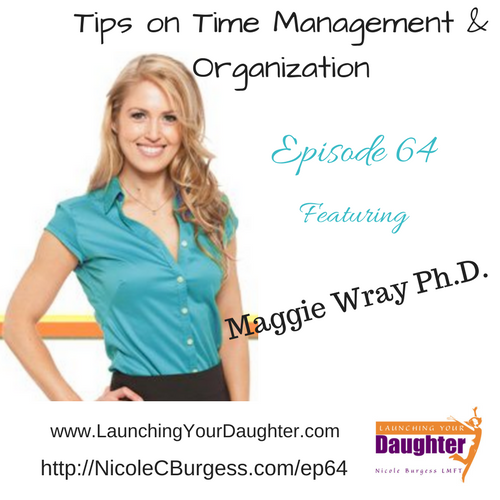 She shares tips and tricks in time management, improving your focus muscle and organization.